Microsoft’s Surface computers are the pinnacle of the PC world, but with the cheapest Surface Pro starting at $800 (sans keyboard or pencil, I should add), they really are bloody expensive. That might soon change, as rumors suggest Redmond is working on a cheaper Surface laptop, which will allow it to compete in the mid-to-low end of the computer market. Crucially, it could help it regain its footings in the education space. 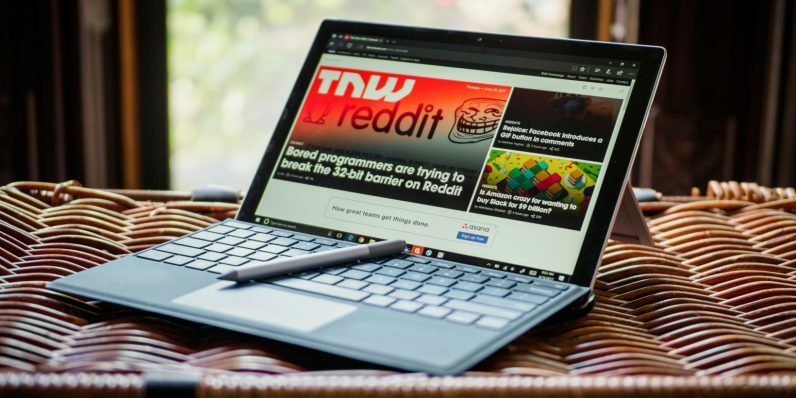 The first rumblings came about a month ago, when Bloomberg reporters Mark Gurman and Dina Bass reported that Microsoft was working on a low-cost tablet line, due to land towards the second half of 2018. These would cost about $400 for the base model, and would directly compete with Apple’s iPad, which has made significant inroads into the education market. Now, legendary Microsoft watchdog Paul Thurrot is reporting on internal documents that show a road-map for the surface line. This talks about three new upcoming products: codenamed Carmel, Libra, and Andromeda. Carmel is believed to be the upcoming Surface Pro 6. Thurrot points out that this may be further in the horizon than some would like, considering Microsoft just released the LTE variant of the Surface Pro 5. Andromeda, is the long-rumored Surface Phone, which we don’t really know anything about, although some think it’ll have an unusual dual-screen clamshell form factor. Libra, on the other hand, is believed to be the low-cost Surface. It’ll be interesting to see what corners Microsoft cuts to make a low-cost Surface computer. It wouldn’t surprise me to see Microsoft ditch Intel’s pricey silicon altogether in favor of Qualcomm’s Snapdragon 850 platform. The Snapdragon 850 was unveiled around Taiwan’s Computex trade show. It’s a 64-bit ARM-compatible octo-core SoC, and offers enough oomph to run Microsoft Windows, but at a fraction of the cost of Intel’s silicon. Analysts expect we can see it landing on Windows 10 laptops in time for Christmas 2018. An ARM-powered Surface computer would be a bold vote of confidence for Qualcomm’s PC ambitions, and might convince other device manufacturers to take the plunge, and use it on their cheaper machines. This would go a long way to shaking up the Intel/AMD duopoly. But in a broader sense, it would go a long way to helping Microsoft realize its ambitions to re-conquer the education market, which it’s largely ceded to Apple and Google. The education tech market is massive. In 2016 alone, American schools, colleges, and universities spent $7.35 billion on desktop and mobile computers. More importantly, education customers buy in bulk, and they’re often willing to spend big money on aftercare and service — which makes them even more enticing to PC manufacturers. Unfortunately, Microsoft’s grasp of this market has ebbed dramatically over the past ten years. According to a FutureSource report from 2017, of the 12.6 million mobile devices shipped to primary and secondary schools in the US during 2016, only 22 percent ran Microsoft Windows. That’s a tragic state of affairs for Microsoft, and it’s clear to see that the company is desperately trying to reverse it. Many of its launch events over the past couple of years have focused on the education market. Most obviously the company has tried to modify Windows 10 to cater to schools with its locked-down “S” mode (née Windows 10 S), due to be released at some point in 2019. A cheap Surface computer, combined with a version of Windows that’s safe and easy to administer, may go some way into halting the march of chromebooks in the education space. TNW has reached out to Microsoft for comment. If we hear back from them, we’ll update this post.